These reviews will help you pick the best Roomba in 2019. Before spending money, it is important to know exactly what you are buying. But there are so many Roomba models on our market and difficult to find most suitable Roomba for your needs. We took our time to research and pick up and provide the comparison tables and in-depth reviews to help to find the best one for your home. Why do we need a Roomba in Home? Roomba is a good partner for a cleaner home. Roomba with high performance will save a lot of time on home work. Always keep your house clean. Roomba vacuuming robots are designed for your home, It suction dirt, pet hair, dust, and even large debris with powerful cleaning system and leaving you with more time on what’s more import. 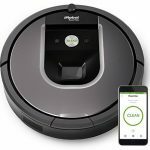 How to evaluate a Roomba? 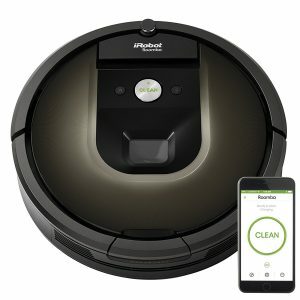 IRobot lauched many models for Roomba and they have lot of features and we can find the best roomba by check the features and find the most suitable one for you. Roomba 980 contains most features but have high price. Following Features that roomba will provide. After compare Roomba models in-depth and pick up 8 roombas. Roomba 980 is best for carpets and most expensive one. Roomba 650 is the cheapest one with similar features. Roomba 980 is the top robot cleaner for a premium cleaner on market and have the most and newest features and consider as best Roomba for carpets. Roomba 980 famous for performance on Carpet than others. With the help of wi-fi and application control, Roomba 980 can be considered to be one of the great robot Roomba vacuum cleaner. You can plan to make it start working from a centralized anywhere at any time, so you always see a clean ground in the home.It will last 120 minutes and longer than any Roomba models. Compare with Roomba 960, Roomba 980 provide 10X suction power, a special feature on carpets and longer running time. But Roomba 980 is much expensive than Roomba 960. Both Roomba 980 and 960 belong to Roomba series 900 and they are the two top product among the Roomba series and have high price. If you need similar features but much lower price, you can choose 880. Gentle touch comes at the expense of superior cleaning. Roomba 960 has very similar features with Roomba 980 and have the much cheaper price and consider as best Cost-effective Roomba for home use. 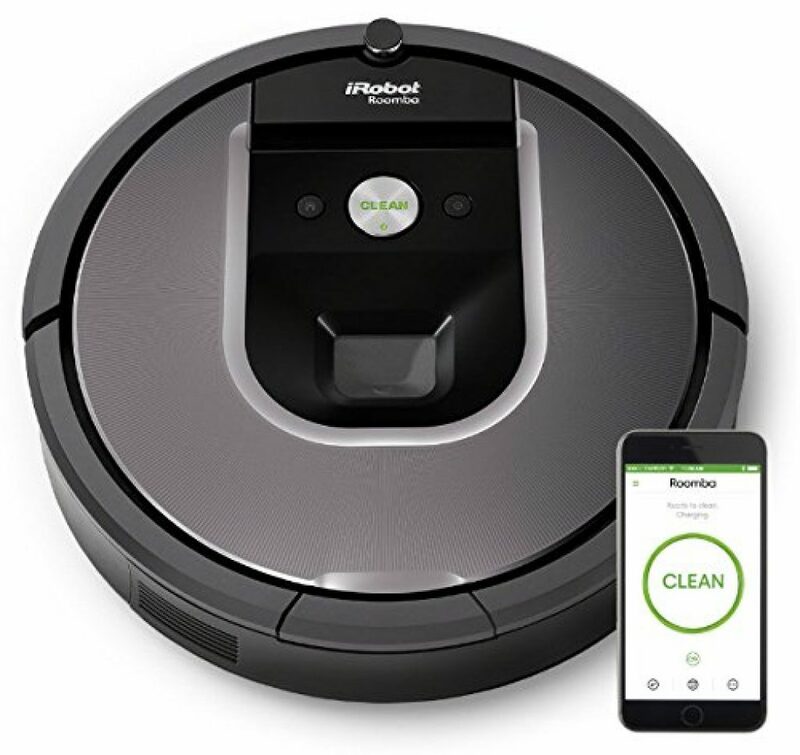 It was released a few months after Roomba 980 with a lower price and design to seamlessly navigates room to room to clean an entire level of your home. It can be considered to be one of the Cost-effective robot Roomba vacuum cleaners. You can plan to make it start working from a centralized anywhere at any time, so you always see a clean ground in the home. If you not want the perfect and newest but the cost-effective one, You can choose Roomba 960. 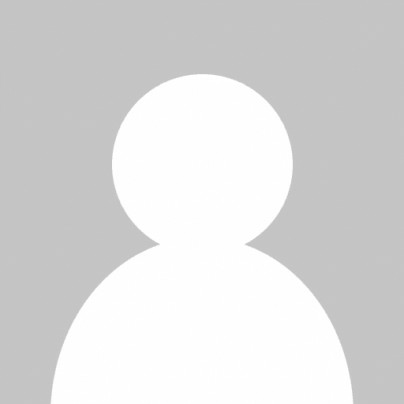 Roomba 890 is only one that has the WiFi connect ability among Roomba series 800 at this price range and contains all core functions in the 800 series. It uses a pseudo-random vacuuming pattern to finish cleaning job. Roomba 890 is cheaper and nearly have less $200 than Roomba 960. It has great for people who can’t bend down to clean under their beds and brought professional care to home with good price. If you want cheaper one, you can choose Roomba 860 in the 800 series. If you want the newest and enhanced on you can choose 980 but they are more expensive. If you want multiple rooms clean but not too expensive, you can choose Roomba 880. Compare with Roomba series 700 and 600, Roomba 890 take technology named AeroForce Extractors to replace the bristle brushes and improve 50 percent on remove dirt, dust and hair. Compare with Roomba 980 and 960, they have similar features and lower price. Of cource it’s not as powerful as Roomba 980 and 960, also lacks special feature on Carpet Boost. Roomba 880 is the first product that introduces a brush-less agitating system and had a good review as the old-high-end product in the market.They use a pseudo-random vacuuming pattern to finish cleaning job. Roomba 880 has great for people who can’t bend down to clean under their beds anymore. Roomba 880 has similar features with Roomba 960 and doesn’t support WiFi via smartphone. 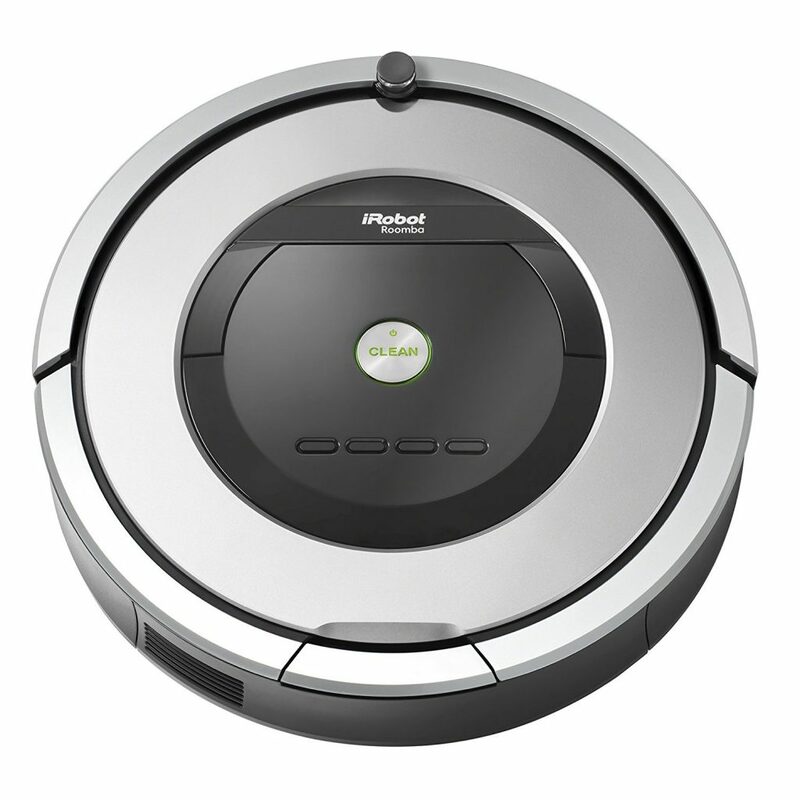 But it has the much cheaper price and considered to be one of the cost robot Roomba vacuum cleaner at a low price. Compare with Roomba series 700 and 600, Roomba 880 take technology named AeroForce Extractors to replace the bristle brushes and improve 50 percent on remove dirt, dust and hair. 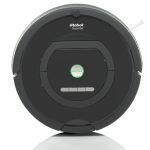 Compare with Roomba 980 and 960, they have similar features and lower price. Of course it’s not as powerful as Roomba 980 and 960, also lacks special feature on Carpet Boost. Compare with Roomba 890, it doesn’t support WiFi connected feature and use a remote control device to control the robot. Compare with Roomba 860, It contains more virtual lighthouse. Roomba 860 is the cheapest one on among Roomba series 800 and contains all core functions in the 800 series. It uses a pseudo-random vacuuming pattern to finish cleaning job. Roomba 880 has great for people who can’t bend down to clean under their beds anymore. Roomba 860 is cheaper than Roomba 870,880 and 890. It contains all core functions in the 800 series. If you want APP to control the robot remotely, you can choose Roomba 890,960 and 980 but they are more expensive. If you want multiple rooms clean but not too expensive, you can choose Roomba 880. Compare with Roomba series 700 and 600, Roomba 860 take technology named AeroForce Extractors to replace the bristle brushes and improve 50 percent on remove dirt, dust and hair. 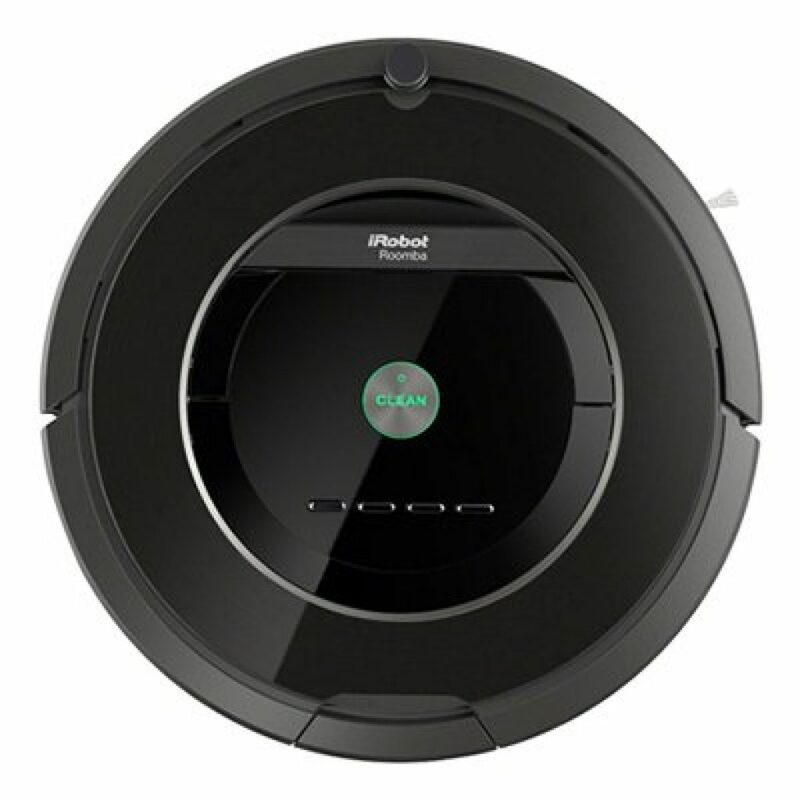 Compare with Roomba 980 and 960, they have similar features and lower price. Of course it’s not as powerful as Roomba 980 and 960, also lacks special feature on Carpet Boost. Compare with Roomba 890, it doesn’t support WiFi connected feature and use a remote control device to control the robot. Compare with Roomba 880, It contains less virtual lighthouse but cheaper price. Roomba 770 is the cheapest one among Roomba series 700 and contains all core functions in the 700 series. It uses a persistent pass clean method to finish cleaning job. Roomba 770 take technology named Dirt Detect Series 2 that uses infrared and acoustic sensors to find dirt and use bristle brushes to remove dirt, dust, and hair. Roomba 770 has great for people who can’t bend down to clean under their beds anymore. It contains all core functions in the 700 series. If you want APP to control the robot remotely, you can choose Roomba 890,960 and 980 but they are more expensive. If you want multiple rooms clean but not too expensive, you can choose Roomba 880, 780 and 780. Compare with Roomba series 800 and 900, It lacks some high-end features and not as powerful as them but it’s enough to use and have a lower price.Roomba 770 is cheaper than Roomba 780,790. It doesn’t support WiFi connected feature and use a remote control device to control the robot. 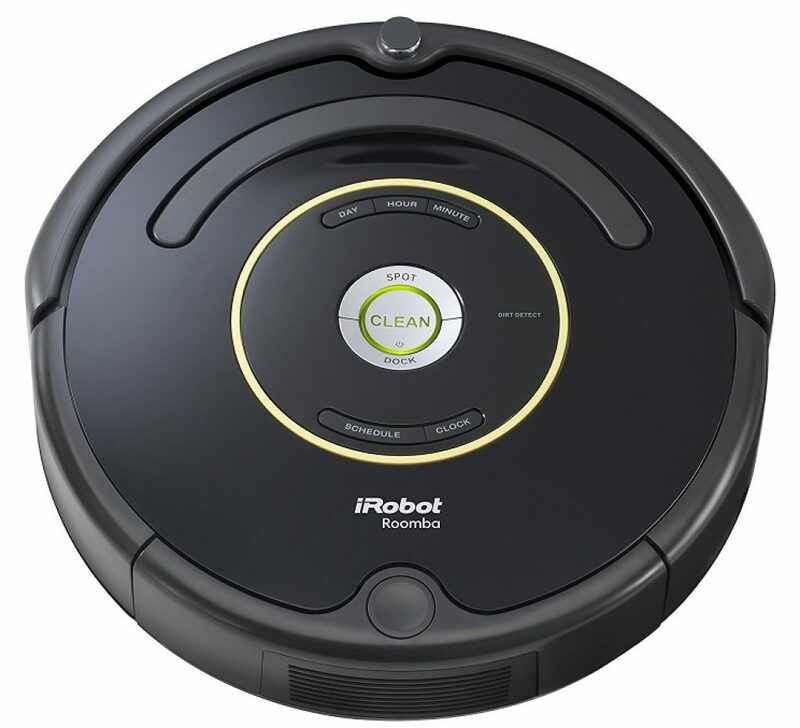 Roomba 770 is nearly same with Roomba 760 and much cheaper than 780,790. Roomba 690 is the top of line 600 and contains all core functions in the 600 series. It uses a using a persistent pass clean method to finish cleaning job. Roomba 690 take technology named Dirt Detect Series 2 that uses infrared and acoustic sensors to find dirt and use bristle brushes to remove dirt, dust, and hair. Roomba 690 is cheapest one with WiFi connected feature but sometimes it will be stuck during work and need help.Roomba 690 can rechange by himself but can’t resume job. If you want APP to control the robot remotely and better performance, you can choose Roomba 890,960 and 980.If you want multiple rooms clean but not too expensive, you can choose Roomba 880, 780 and 780. Compare with Roomba series 700,800 and 900, It lacks some high-end features and not as powerful as them but it’s have a lower price.Roomba 690 have higher price than Roomba 659. Roomba 690 is the lower price one with support WiFi connected feature. Roomba 650 is the cheapest one of line 600 and contains all core functions in the 600 series. It uses a using a persistent pass clean method to finish cleaning job. Roomba 650 take technology named Dirt Detect Series 2 that uses infrared and acoustic sensors to find dirt and use bristle brushes to remove dirt, dust, and hair. Roomba 650 is nearly the same feature except wihout WiFi connected feature but cheaper than Roomba 690. Sometimes it will be stuck during work and need help.Roomba 650 can rechange by himself but can’t resume job. If you want APP to control the robot remotely and better performance, you can choose Roomba 890,960 and 980. If you want multiple rooms clean but not too expensive, you can choose Roomba 880, 780 and 780. Compare with Roomba series 700,800 and 900, It lacks some high-end features and not as powerful as them but it’s have a lower price.Roomba 650 have lower price than Roomba 690 and similar feature with Roomba 690. Except the price we don’t recommand it any more. Roomba robots have good views on the market and brought great help to you family. From Roomba 650 to Roomba 980, they became more powerful on suction power, provide more features by Roomba APP and longer running time. But the more features and power provided, you will pay more for the good performance. Different Roomba provides different features and difference performances you need to choose a suitable one to meet your needs. Before you choose a product, you need to consider what you really need and how much you what to pay for the Roomba.How to choose a suitable Roomba? Do you have multiple rooms? Do you have wooden floors or carpets? Do you have many carpets in the house ? Do you need remote control function ? If you wish to control you Roomba via smartphone. you can consider 690,890,960 and 980. If you have many carpets. You can consider the Roomba 980. It has an excellent feature on Carpet clean. If you wish to choose the cheapest one and also can control by smartphone, you can choose 690. 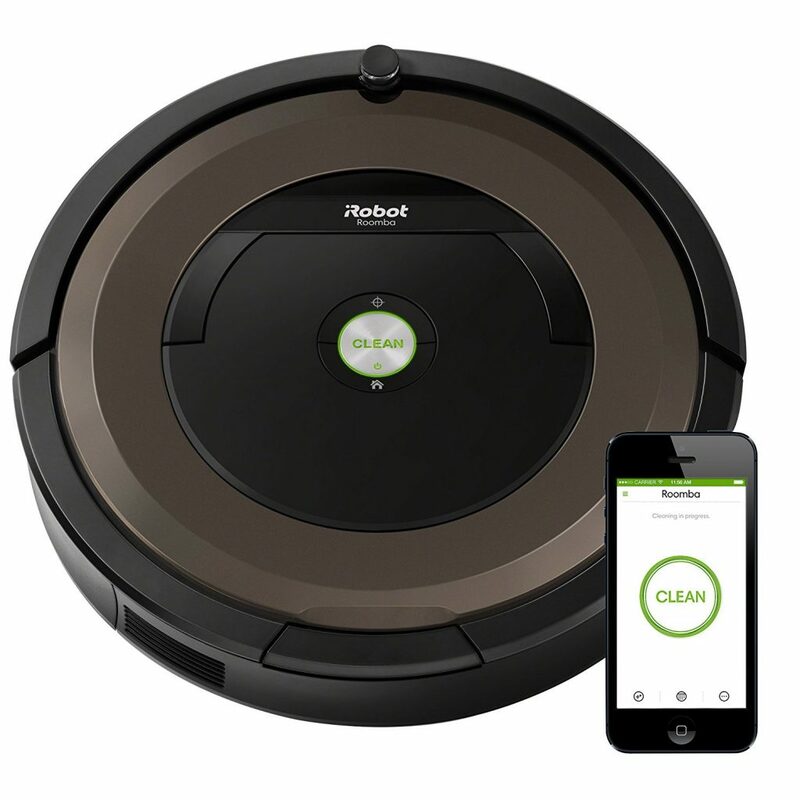 If you have pets and wish lower price and control you Roomba via smart phone you can choose 890. If you have a large house and don’t want to interrupt the robot you can choose 960 or 980 which can recharge themselves and continue to work.